Two of the busy tables at the CanHope morning tea. 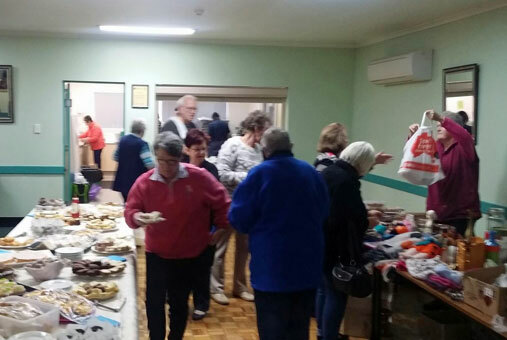 MORE than $4500 was raised at the CanHope Cancer Support Group's big morning tea at the New Norfok RSL Club last Thursday. Held annually since 1998, the event is part of Australia's Biggest Morning Tea which raises funds for cancer research and support services. This year saw 27,023 morning teas held around the country, with the local event raising $4660.45 for the Cancer Council.